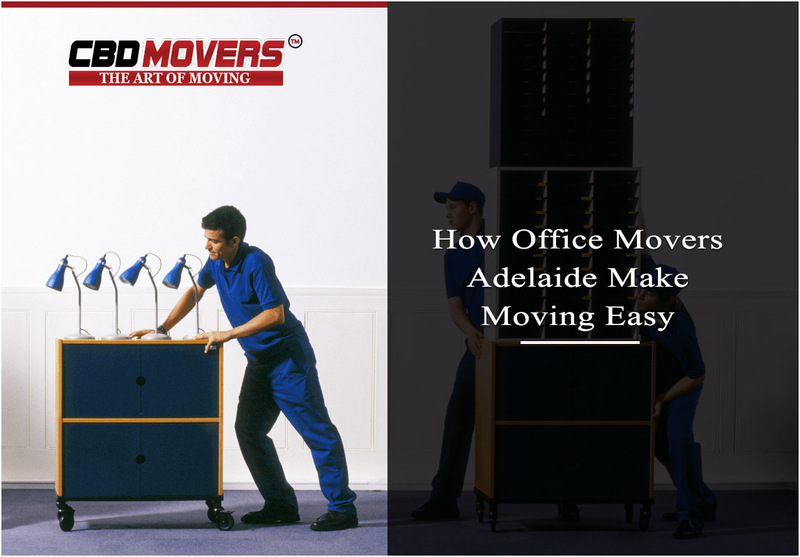 How Office Movers In Adelaide Make Moving Easy? Moving office furniture, equipment, and important paperwork can be quite a task. Organizing things and executing the move meticulously requires time, effort and the right skill. Besides the stress of getting things right, the issue of moving with little or no disruption to office work, clients, employees, and vendors is extremely important. Thus, relying on the professional skills of office movers Adelaide is highly recommended. With vast industry experience and the right men and tools to execute the task, we known as one of the best office movers in Adelaide make your office moving an effective and happy one. Wisely choose your office space. It should be well equipped with all the equipment and supplies that aid in the smooth functioning of the office work. Outline and itemize your items according to the floor plan of the new office. This will help you discard or donate your extra belongings and thus cut down on packing and moving cost. Confirm your moving date and talk to reliable yet cheap movers Adelaide. Talk at length the things you wish to move. If required, seek technical help and support to move office computers and equipment. Ask employees to clear and pack their workstations. This will not only divide the removal effort but also make it easy and fast to get settled again at the new office. Make sure the belongings are deftly packed and loaded in the truck. Opt for a removalist that has a well-established network. By this, you’ll have professional support and assistance at both the pick-up and drop point. Go in for comprehensive removal plan that includes unpacking and reassembling services at the new office. Be sure to move expensive and delicate belongings under insurance cover. This will take care of the financial liability, if any, in case of damage or loss of office valuables. CBD Movers is a trusted removalist in Australia. With a vast network spanning across the continent, we provide the best and unmatched services to move office ware. Our affordable rates make us one of the top cheap office movers in Adelaide. Get in touch for customized services and office removal deals. Previous PostPrevious How Furniture Removalists In Brisbane Undertake Business?